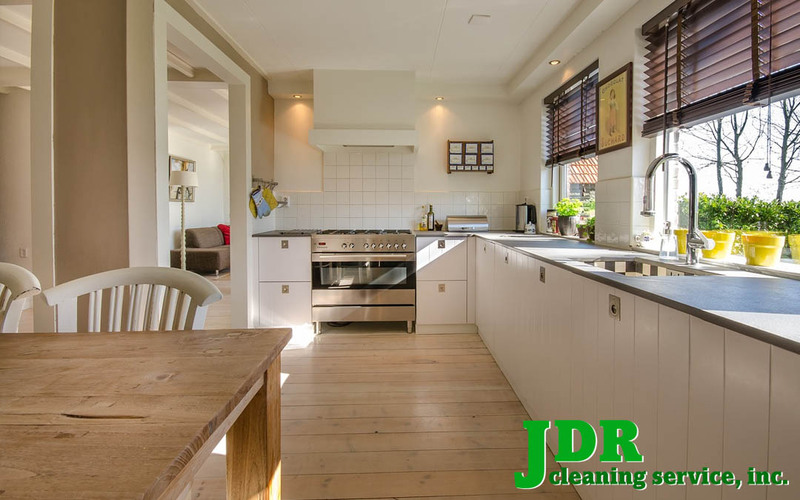 Maintaining Hardwood Floors • JDR Cleaning Service, Inc.
We are a commercial cleaning company but we often get calls from residential customers needing advice on maintaining their wood floors. Homeowners who have purchased older homes (with original wood floors) might be able to get information from previous owners on how they maintained the floors. If this is not possible, we suggest calling a flooring company that sells wood floors. Describe your floors and if possible email them a photograph. If you know the approximate age of your home, they may be able to tell you the type of wood and offer suggestions. Sometimes a wood floor requires a light sanding which might include staining the floor to restore it to its natural beauty. There are companies that specialize in this. If an unfinished wood floor has been waxed by a previous owner, it will require stripping off old wax and reapplying new wax. A floor care cleaning service specialist could provide this service. If a wood floor has a polyurethane finish, it is easy to clean by vacuuming with a soft brush. Cleaning with a very light mist of water on a mop or soft cloth will not harm your floors. Products like Bona are great for deeper cleaning of wood floors. In a previous article, I suggested removing shoes especially cleats and heels. This will help prevent scratching. Another suggestion is to place pads on the bottom of all furniture which also helps prevent scratching.